Askari, G., Ansari-Mahyari, S., Rahimi-Mianji, G., Asadollahpour Nanaei, H. (2013). Effect of Stat1 Variants on Milk Production Traits in Esfahan Holstein Cows. International Journal of Advanced Biological and Biomedical Research, 1(8), 851-857. Gholam-Hossein Askari; Saeid Ansari-Mahyari; Ghodrat Rahimi-Mianji; Hojjat Asadollahpour Nanaei. "Effect of Stat1 Variants on Milk Production Traits in Esfahan Holstein Cows". 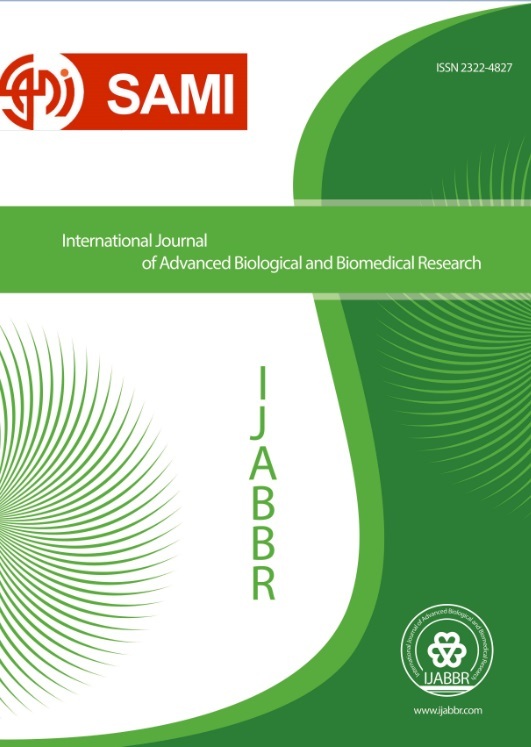 International Journal of Advanced Biological and Biomedical Research, 1, 8, 2013, 851-857. Askari, G., Ansari-Mahyari, S., Rahimi-Mianji, G., Asadollahpour Nanaei, H. (2013). 'Effect of Stat1 Variants on Milk Production Traits in Esfahan Holstein Cows', International Journal of Advanced Biological and Biomedical Research, 1(8), pp. 851-857. Askari, G., Ansari-Mahyari, S., Rahimi-Mianji, G., Asadollahpour Nanaei, H. Effect of Stat1 Variants on Milk Production Traits in Esfahan Holstein Cows. International Journal of Advanced Biological and Biomedical Research, 2013; 1(8): 851-857.